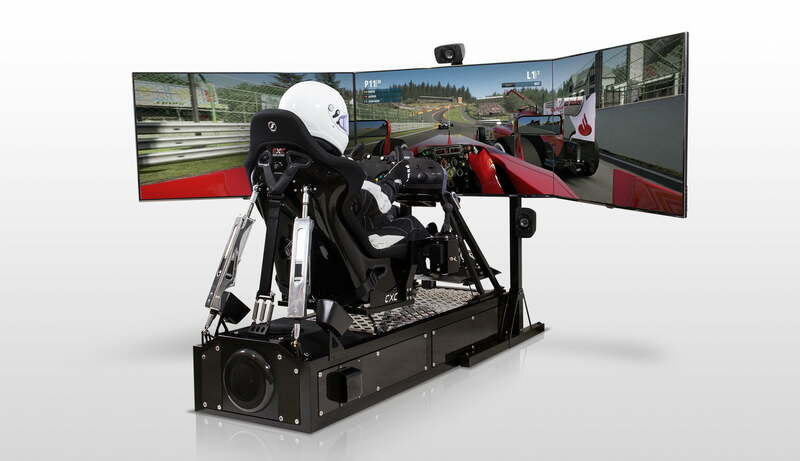 We take a look at CXC Simulations’ Motion Pro II, one of the best ways to feel like you’re on the track from the comfort of your home. Happen to have a spare $54,000 lying around? No? Well me neither but come along and dream with me. Racing games are great and all, but if you really want to feel in the game you at least need a racing seat with a steering wheel and pedals. 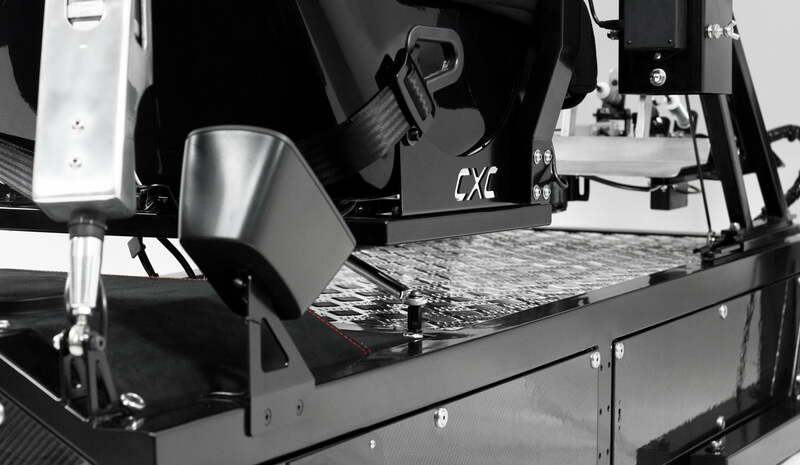 I’m a huge fan of Playseat (here’s some of our coverage of Playseat) but Playseat setups are more entry level and today we’re looking at the professional setups from CXC Simulations. I gift your eyes the Motion Pro II. This bad boy is the next best thing to driving a real car on a real track. Designed and hand constructed in their Los Angeles facility, the Motion Pro II is crafted with laser-cut steel, billet aluminum, carbon fiber and titanium. 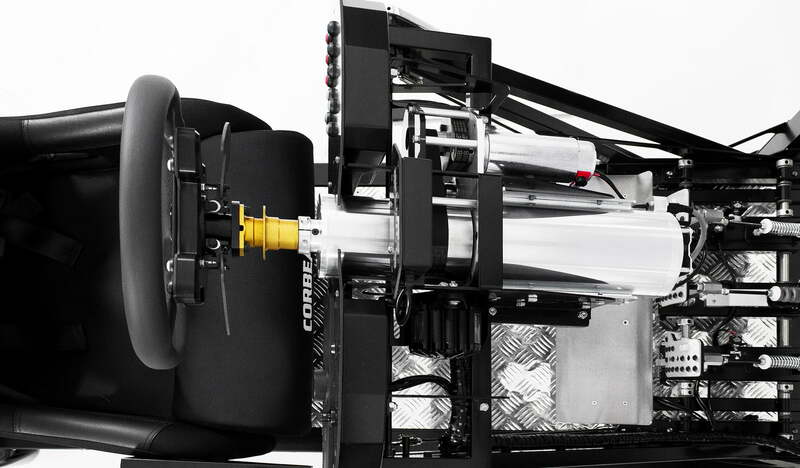 The system’s force feedback lets you feel side loads, cornering, front and back loads, accelerating, braking, and you can even upgrade with seatbelt tensioners. Want to hear the sounds of the streets? No problem, the Motion Pro II features a 1500W Dolby 5.1 surround sound system. The Motion Pro II also comes standard with a full 1080p resolution screen system and a 60-degree field of view. 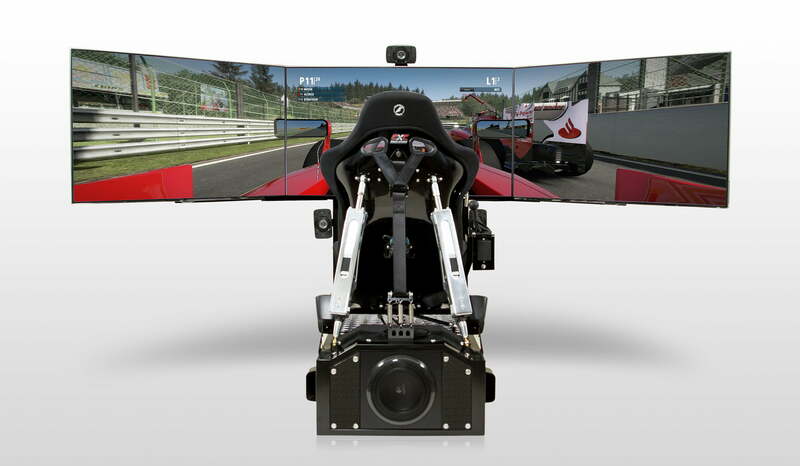 You can even upgrade to the panoramic triple-screen setup, which delivers 6,220,800 total pixels and a 180-degree field of view with head tracking. Wait, did you say you rather fly vs drive? No problem! 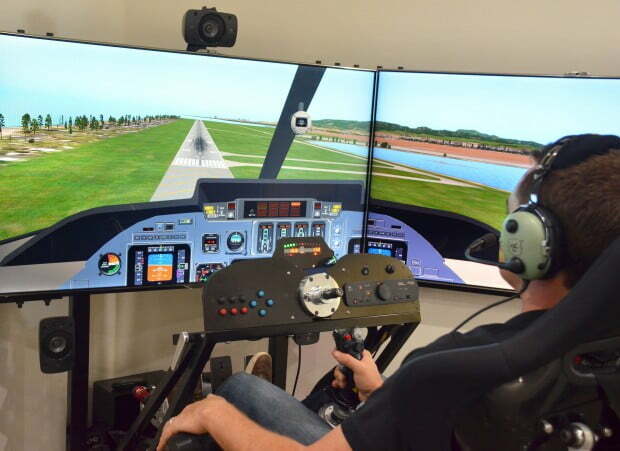 In just two minutes, the racing simulator can transform into a flight simulator with the optional Combat Flight Pack, allowing the home pilot to fly aircraft from any airport in the world with realistic scenery based on high resolution satellite imagery. Users have the option to subscribe to a real air-traffic control service for student pilots while they fly who will provide real-time communication and flight information. Sure, the base model may cost $54,000, and the professional model may chalk up an additional $30,000, but this is hands-down one of the closest ways to feel like you’re on the track or in the sky without having to leave the comfort of your home. 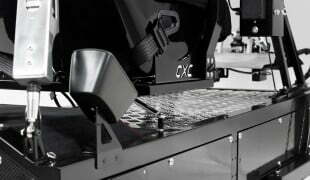 You can learn more about CXC Simulations or their Motion Pro II at their website, www.cxcsimulations.com.